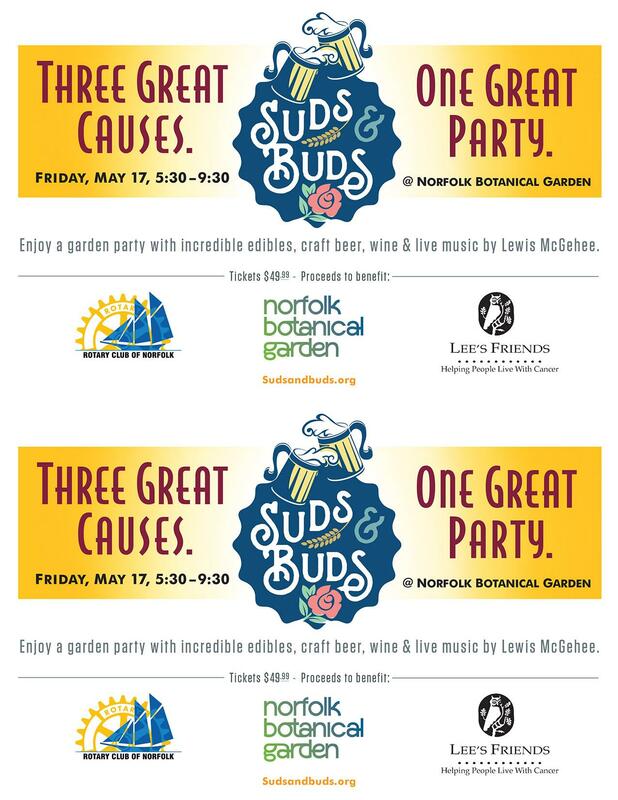 The fifth annual Suds & Buds party well be on Friday, May 17 at Norfolk Botanical Garden. Joining the Rotary Club of Norfolk and the Garden as the special partner this year will be Le'e's Friends. For 40 years, this nonprofit has helped area people living with cancer by providing them rides to treatment and other helpful services at no charge. 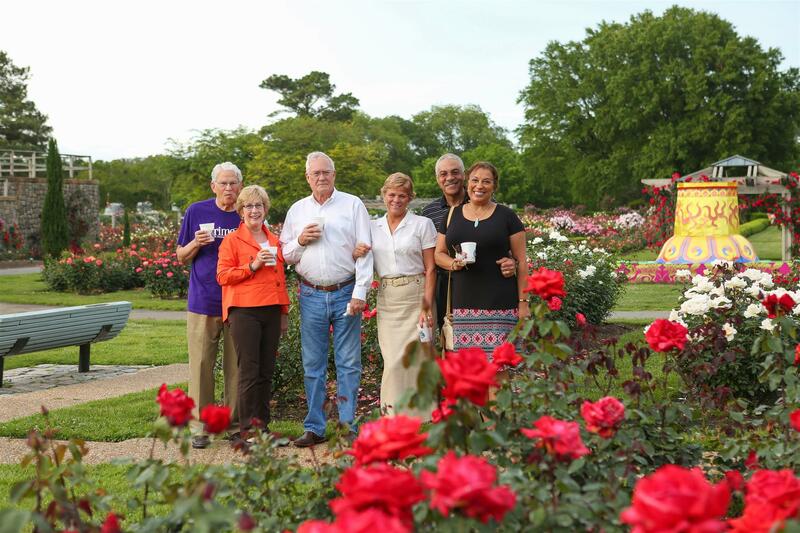 The 2019 party will give guests a casual evening of fun in one of the country's largest rose gardens while it is in full bloom. They will enjoy food from area restaurants and food trucks, local craft beer, a wine tasting, and live music by singer/guitarist Lewis McGehee. Proceeds will benefit the garden, Rotary Club and the many charities it supports plus Lee's Friends. Last year's party drew nearly 600 guests and raised more than $45,000 for charity. Sponsorships for the 2019 garden party are available now. Learn more at sudsandbuds.org. View a photo album from the 2018 party here.